The importance of an evacuation procedure in the workplace can’t be overstated. Find out why having a thorough evacuation plan in place can be life-saving. It’s common to think the worst won’t happen, that there’s such a slim chance of a fire, crime or terror threat that you don’t need to be prepared for it. What happens if you’re the exception to the rule and you do have to deal with an emergency situation? If you don’t have a strong workplace evacuation procedure in place, you could be risking the lives of your staff, students, visitors and yourself. It’s important in the event of an emergency that everyone understands who is in charge of procedures. It’s vital to have competent people who can take charge in an emergency and get everyone to safety. These people should be experienced and skilled in first-aid. You need to be sure who is charge of getting everyone out of a particular area of the building, who is first-aid trained, and who will take charge of roll-calls. Human behaviour can change a lot in an emergency, and it’s easy to get lost in the chaos of everything, This is especially true if there’s no agreed-upon set of information everyone on the premises is aware of. A key part of your workplace evacuation procedure should be the roll-call process. A visitor management system such as VisiPoint can help you in carrying out the roll-call process. With a visitor management system you can access full emergency evacuation lists of everyone on site or in a particular building so you can quickly and easily carry out a roll-call. This is particularly important in educational workplaces, but applies everywhere. Everyone coming into your workplace needs to feel safe and sure that there is a plan in place in the event of an emergency. An essential part of any evacuation procedure in the workplace is knowing who is on site. VisiPoint visitor management system provides you with comprehensive lists of everyone who has signed into your workplace, so you can be sure you haven’t missed anyone out in the evacuation process. 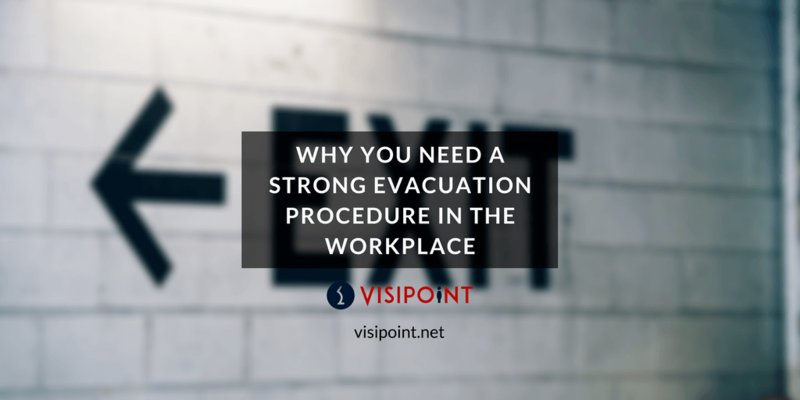 If you’d like learn more about how VisiPoint fits with your workplace evacuation procedure, Get in touch with one of our experts for a free consultation.